**Please note that the hanger is sold separately. This is more than likely circa 1910s as the style references this time period. 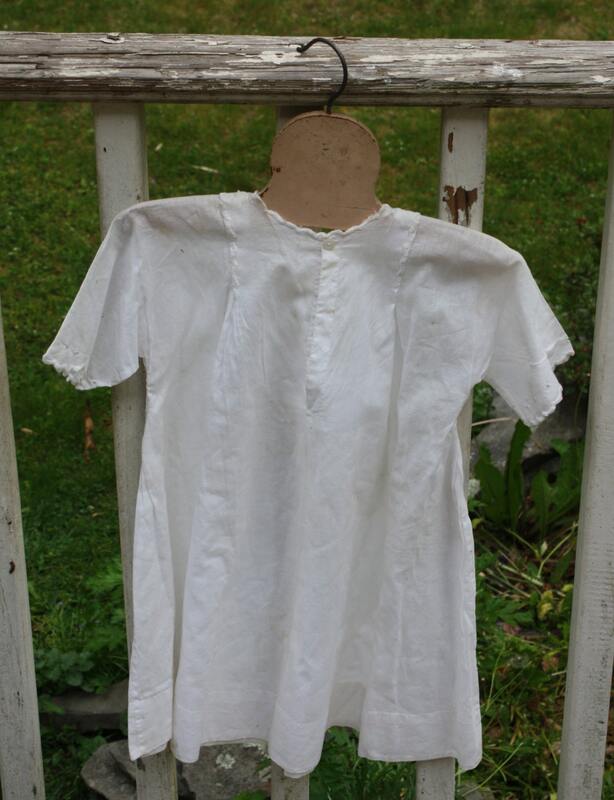 Dress is light cotton with some staining. 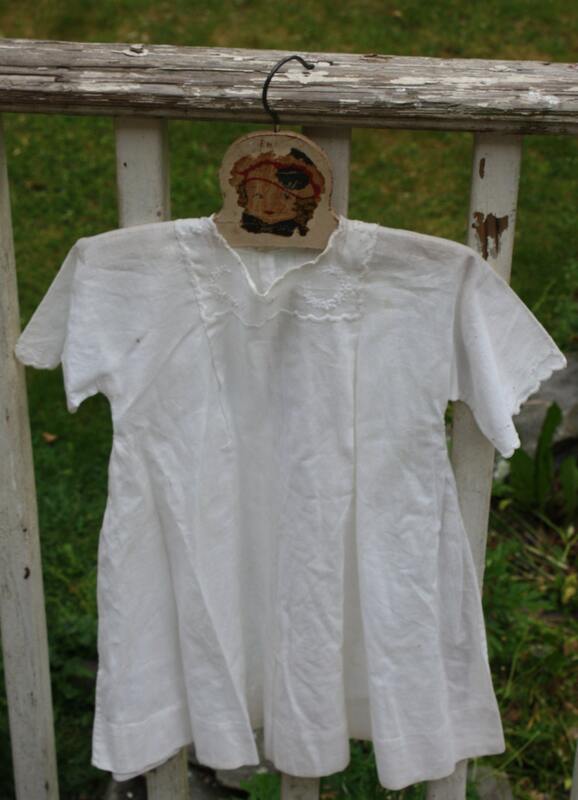 I've tried to show the flaws, including the small tear at the neckline. If you need more photos, do let me know, and I'll be happy to oblige. 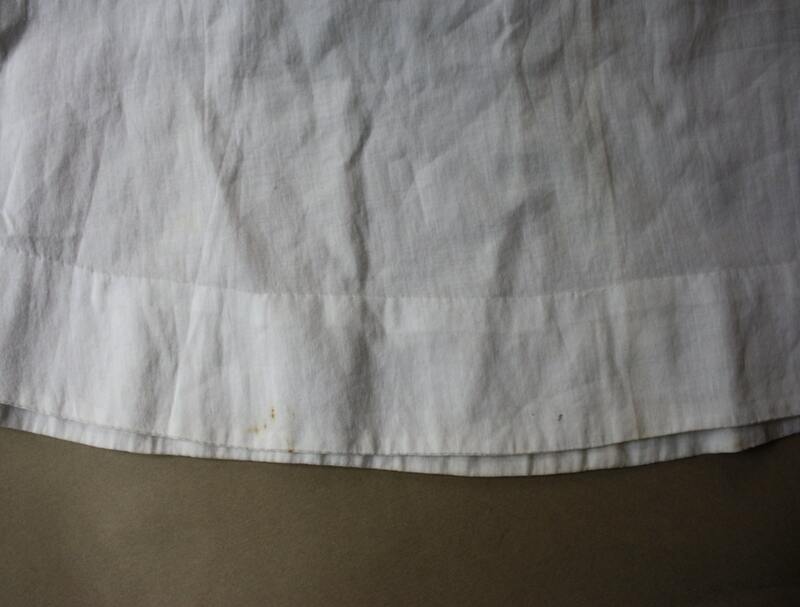 The measurements are 20.75" shoulder to hem and almost 13" armpit to armpit. Dress measures 8.75" from edge of sleeve to neckline. Please let me know, if you need more measurements. 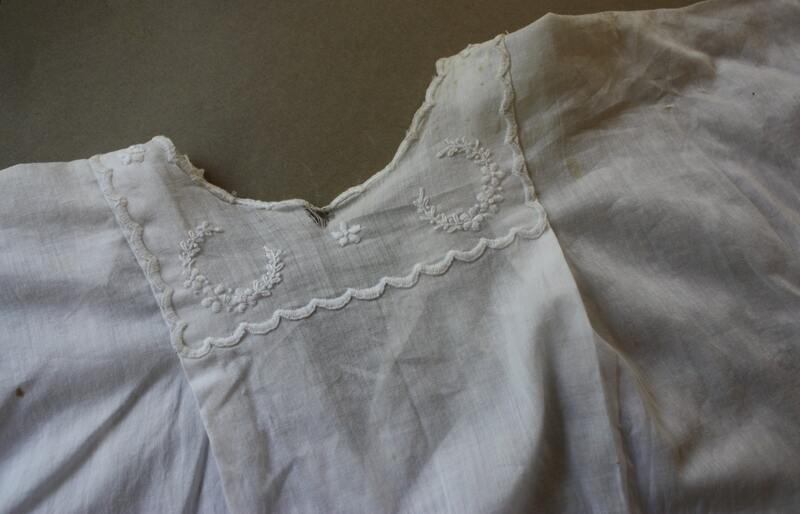 The dress, including the embroidery, looks to be handmade, and there is no tag. 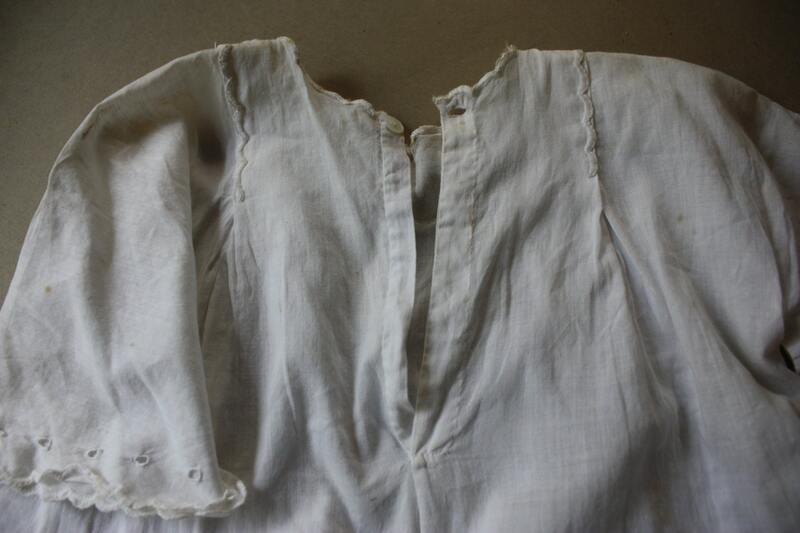 There is one button closure on the back, and it is working and intact.